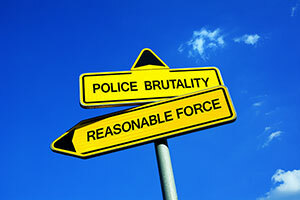 Police experts have reviewed bodycam footage from an August 8 incident and have opined that the taser use was “horrible judgment” and a possible department policy violation. On August 8, Angela Brown called police to her apartment and requested help getting her sons to leave her apartment. Officers Johnson and Sullivan responded to the call. Body camera and cell phone footage document the incident. Brown let the officers into her home and showed them into her living room where her sons were sitting. She said, “Here they at — disrespecting me and everything.” When the officers asked what was going on, Richard Coleman, 24, said “We just chillin,’” and got up saying he wanted to explain the situation and calm down his half-brother, James Crawley, 25. The officers told Coleman to sit down and he refused, while Brown yelled that the police should arrest her two sons. Crawley got up and moved aggressively toward his mother and Coleman got between the two of them. The police officers warned the men that they were about to get tased. Officer Sullivan told Crawley to come to him, but he refused. Sullivan shot Crawley with his taser. Coleman pulled the barbs and wires out of his brother and videoed the scene on his cell phone. Johnson tased Coleman. Johnson and Sullivan physically subdued Coleman and Crawley jumped into the scuffle. A third officer arrived and Coleman and Crawley are eventually handcuffed. Coleman pleaded guilty to resisting arrest. Crawley pleaded guilty to fourth degree felony assault. Following the incident, one of the brothers filed a complaint with the Citizen Complaint Authority.